For the first time ever, the MTV EMA is recognizing the inspiring, young changemakers of the world with the MTV EMA Generation Change award. 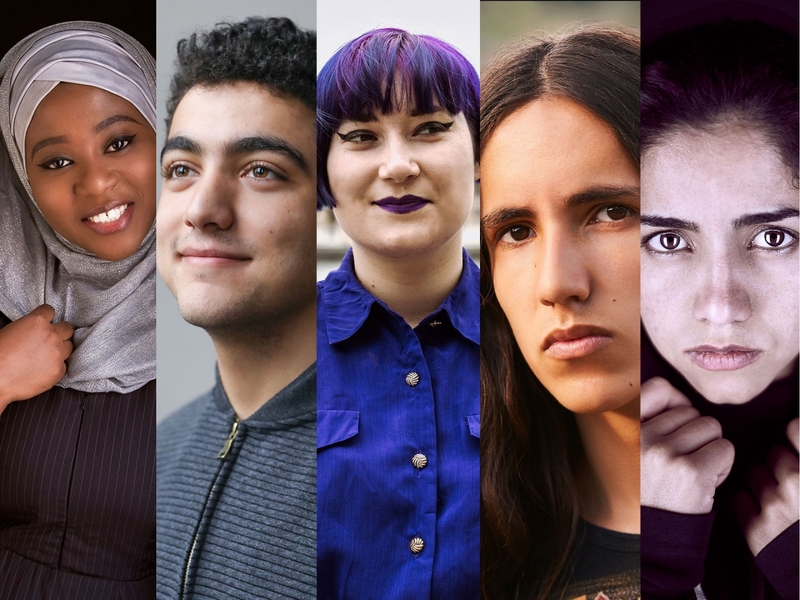 The five changemakers nominated for the award this year are Xiuhtezcatl "X" Martinez, Sonita Alizadeh, Mohamed Al Jounde, Hauwa Ojeifo and Ellen Jones. They're all no older than 25 and tackling some of the world's toughest problems in substantial ways. Each changemaker represents a different cause worth fighting for. You can vote for the cause that matters most to you by posting your favourite changemaker's hashtag along with #MTVEMA to Twitter and Instagram. The Generation Change Award will go to the cause with the most hashtag votes. Xiuhtezcatl "X" Martinez is a climate activist, hip-hop artist, and powerful voice leading an environmental movement. Vote for X's cause with #GenerationEarthGuardians + #MTVEMA. Mohamad Al Jounde is a 17-year-old Syrian refugee who built a school in a refugee camp in Lebanon when he was just 12 years old. The school now provides education to 200 students, both children and adults. You can vote for Mohamad's cause with #GenerationRefugeeRights + #MTVEMA. Sonita Alizadeh uses her rap lyrics and powerful voice to help end child marriage, support girls' rights to choose their destiny and inspire people everywhere to dream bigger dreams. You can vote for Sonita's cause with #GenerationEndChildMarriage + #MTVEMA. Hauwa Ojeifo is a 25-year-old change-maker who founded a movement of love, hope and support to give mental health a voice in Nigeria. You can vote for Hauwa's cause with #GenerationSafe + #MTVEMA. Ellen Jones is a 20-year-old activist from the UK who creates content to effect change and advocate for LGBTQ+ rights, mental health, disability rights and feminist issues. You can vote for Ellen's cause with #GenerationInclusion + #MTVEMA. The Generation Change Award will be presented during the 2018 MTV EMA red carpet show in Bilbao, Spain on 4 November. Follow the @MTVEMA on social media for more exciting news and updates.